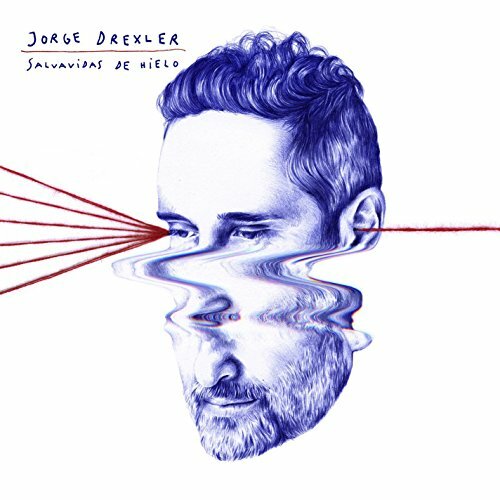 SALVAVIDAS DE HIELO is the new studio album from Jorge Drexler featuring eleven tracks. All performing facets of this album (vocals, instrumentation & production) were orchestrated by Drexler himself. Always looking to create and introduce a different sounds to his music, here Drexler creates a well crafted album whose focal point is his vocals and the acoustic guitar, yet filled with various persussion sounds and rhythms, all originating from the guitar. Needless to say, this is an album long awaited by his many loyal fans throughout the world. It has taken Drexler three years to complete this album, and if his previous works are any indication, this will become another highly acclaimed project with many accolades to come.